I've got a JD 850 with a Yanmar engine. its blowing oil and diesel fuel out the overflow pipe, and when I unscrewed the oil cap, it was blowing out there too. What's wrong. I had to bleed the fuel lines to the injectors due to running out of fuel when the filter bowl cracked. but after that, it ran fine. for about 4 hours. I assume that you are getting fuel in the crankcase and overfilling it? When you bled the fuel lines, did you loosen the lines at the injection pump? If so, then you might have loosened the fitting that the line screws onto. 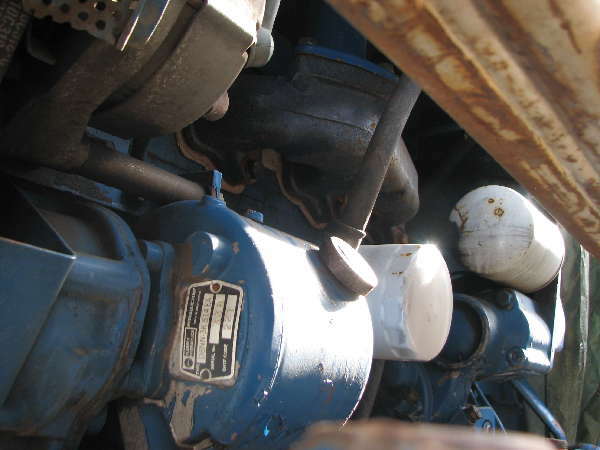 The fitting under the fuel line that is threaded into the pump can come loose when you loosen the fuel lines. If that fitting is left loose, fuel bypasses the fitting internally and leaks into the crankcase. Usually you have a misfire on that cylinder also, depending on how loose it is. There is a copper washer under the fitting that seals the connection.